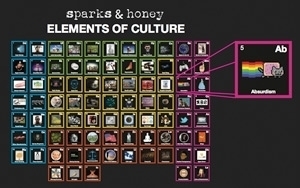 New York-based agency sparks & honey has issued a new report outlining a pocketful of trends that it expects to be front-and-center in advertising campaigns in the next two years. Trends determine how language is reflected in ads, format, fashion, and overall sentiment, the agency asserts. "We spend a lot of time looking to the future, but it's equally important to look to the past to predict what's next," says Sarah DaVanzo, Chief Cultural Strategy Officer at S&H. "What's important is to dissect the anatomy of the trend, examine the holistic picture, and find out why it's distinctive." Prepare to look at everything with skepticism. The agency calls it “Pranksterism,” and the trend of not knowing what is real or what is fake is gaining traction. No, Scope is not introducing bacon-flavored mouthwash and Skype did not launch a space-calling program. At least not yet. It's a challenge to know for sure. This uncertainty is the appeal. In order to cut through the social media noise and jaded consumers who have seen it all, this trend will put a bright spotlight on experiential marketing in the coming year according to the agency. Trend-spotting is not about being cutting-edge and cool. It's about identity. "Clients come to us and say they are losing relevancy," says DaVanzo. "But what that really means is that they are losing touch with culture and the important tenets of culture are what trends are about. Everything is connected." Importantly, there hasn't yet been a backlash among brands that engage in this trickery. "People don't care [they are being tricked," says S&H cultural strategist Dan Gould. "They are enjoying being entertained instead of being irate." Pranksterism is closely associated with another trend the shop calls “Shock and Awe.” This approach creates memorable experiences for consumers, both good and bad. Creative agency Thinkmodo, for instance, has gained fans and viral buzz with several recent movie-themed marketing efforts, including a promotion for the January movie Devil's Due that scared unsuspecting passersby with a screaming robot baby after they looked into a baby stroller. By using such “shock and awe” techniques, marketers are essentially pushing the boundaries of human tolerance, the agency asserts. "The dark corners actually provide brands with opportunities,” said S&H cultural strategist Nate Graham. “We recommend an exercise that they think like a criminal and use these channels to explore other ways to use their brands." By navigating unsanctioned retail channels, for instance, brands can determine value. Netflix, for its part, tracks services offering illegal downloads to see what's popular. Still, not every trend rolls out as predicted, says DaVanzo. "I expected 3-D manufacturing to be more mainstream by now. Is it dead? No, but it got pulled down by the price point” and other factors. 1 comment about "Ad Trends 2014: Pranks, Shocks, And Visiting The Dark Side ". Sarah DaVanzo from sparks & honey, January 16, 2014 at 1:27 p.m.
Today's announcement that ADOBE/Photoshop software can now drive 3D printing design is CATALYTIC to the 3D printing category. One of the biggest barriers to date has been that 3D printer software. Now that anyone who knows Photoshop can design for 3D printers. Accroding to Techcrunch "Photoshop is an ideal intermediary step between designing 3D models and printing them."